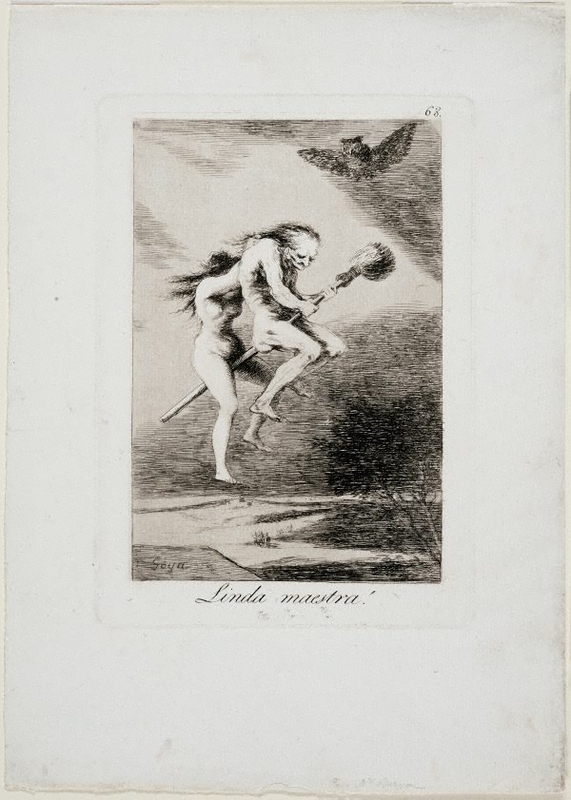 In Goya’s ‘Los caprichos’ series, the young and the old, clergy and nobility, peasants and prostitutes, witches and goblins all coexist in a dark netherworld of moral corruption. 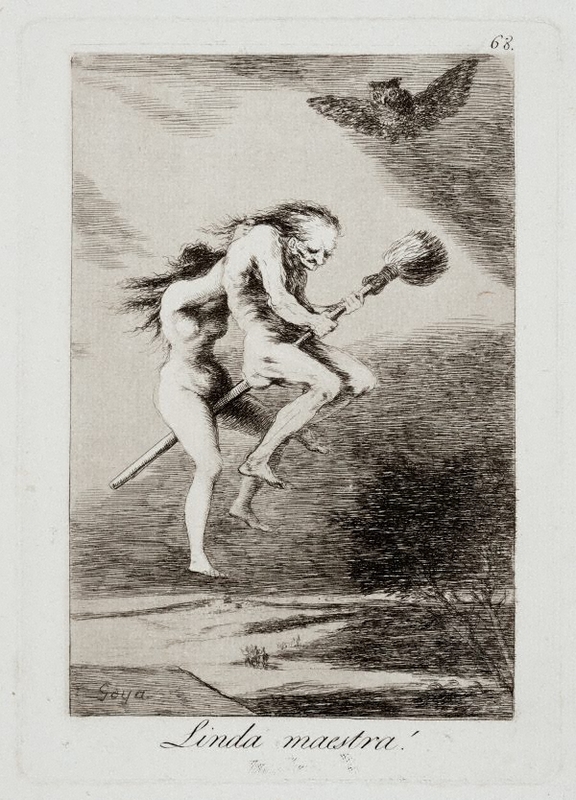 In this print we find a wrinkled old witch instructing a novice in witchcraft by showing her how to fly on a broom. The ironic title (‘Pretty teacher!’) implies that the old witch is certainly no role model and corrupts rather than educates the young novice. The reversed broom, protruding suggestively between the novice’s thighs, seems to indicate that she is also being instructed in libidinous acts. Signed l.l., incised in plate "Goya". Not dated.